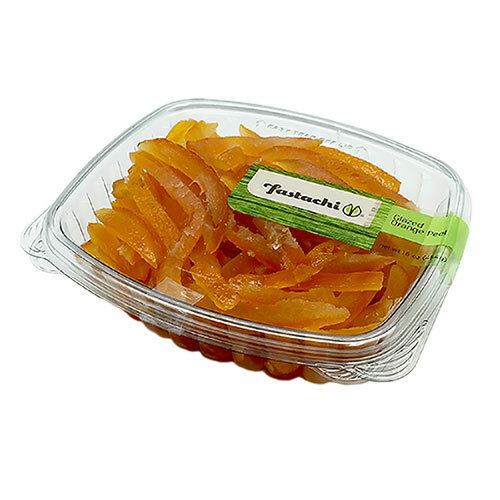 Italian Glazed Orange Peels are sweetened pieces of preserved citrus fruit skins. 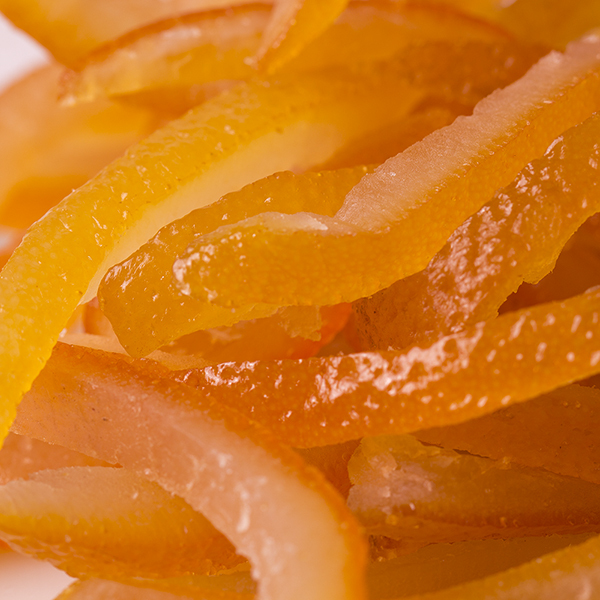 Fragrant orange peels are sweet in flavor, while chewy and tender in texture. Add orange peels to a wide variety of foods, such as salads, jams, baked goods, and much more. NUTRITION FACTS: Serv. Size: about 1/2 cup (50g - 1.75 oz). 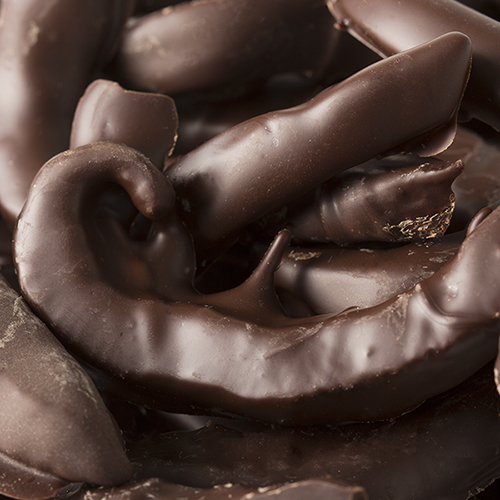 Amount Per Serving: Calories 187, Fat Cal. 0, Total Fat 0g (0% DV), Sat. Fat 0g (0% DV), Trans Fat 0g, Cholest. 0mg (0% DV), Sodium 42mg (2% DV), Total Carb. 36g (12% DV), Fiber 1g (5% DV), Sugars 36g, Protein 0g, Calcium (0% DV), Iron (0% DV), Vitamin A (1% DV), Vitamin C (3% DV). Not a significant source of Cholest., Protein, Calcium and Iron. Percent Daily Values (DV) are based on a 2,000 calorie diet. INGREDIENTS: ORANGE STRIPS, GLUCOSE SYRUP, SUGAR, CITRIC ACID, POTASSIUM SORBATE, SULPHUR DIOXIDE (FOR COLOR RETENTION). These are the best orange peels I've found anywhere - not over sweet but tasty enough to eat as they are and excellent when coated in dark chocolate. I will definitely be ordering these again.